Blockchain Magazine™ presents top blockchain stories, you can’t miss out. All the top twenty Cryptocurrencies have been gaining since past weeks including zcash, NEM, and XRP. Data also indicates a number of top twenty cryptocurrencies have witnessed pullbacks after hitting the highs. Bitcoin cash hit $4000 after it was listed by cryptocurrency exchange startup “Coinbase” and later went down by almost nineteen percent. Chinese retailer and e-commerce behemoth, JD.com, has launched AI Catapult and accelerator to support startups in blockchain technology as well as the Artificial intelligence. The company announced this development on their website stating that AI Catapult will be partnering with the blockchain startups to mine the opportunities for new businesses as well as improve the use of blockchain technology. After revolutionizing the transportation industry, Uber’s Co-founder, Garrett Camp is all set to revolutionize digital currency ecosystem by the launch of a new cryptocurrency, named “EcoCoin”, a new decentralized global currency protocol. The name “EcoCoin” is itself a connotation of eCommerce, economics and ecosystem. The new cryptocurrency with be in direct combat with bitcoin, fiat money and gold. Mark Carney, Governor of Bank of England, has come up with a new series of criticism wherein he argued that Cryptocurrencies are failing as money. The remarks were made during a speech at Scottish Economics conference. According to Mark Carney, Cryptocurrencies are failing in the quest to replace roles of money as Bitcoin and its peers are inefficient and mediocre stores of value. He also warned that cryptocurrencies like Bitcoin faces regulatory crackdown. Austin, Texas will be initiating a project which will use blockchain technology to make a system that will record the personal information and also provide a unique identity to homeless people so that they can avail all the available critical services. Ethereum blockchain will hence pave a way to assist Syrian refugees in the city. ING Group and Credit Suisse Group confirmed that they transacted a total of $30 million dollars’ worth securities using a software developed by HQLAX and the blockchain platform R3. 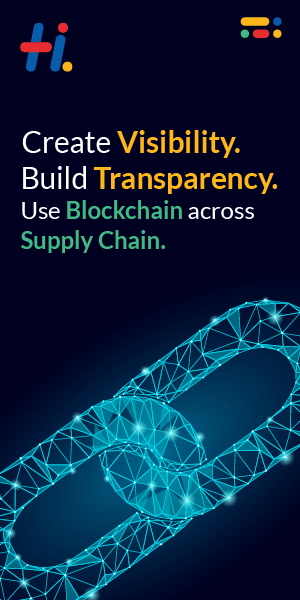 According to Charley Cooper, the managing director of R3 blockchain, the transaction is a unique demonstration of how blockchain solution can be used in commercial settings efficiently. Leveraging cryptocurrencies for philanthropic causes has seen acceleration in recent past. A noticeable number of charities as well as foundations have included bitcoin donations. Some renowned organizations like Res cross, EFF, save the children etc. can be benefited to the great extent. Foundations known as “Crypto-foundations” have arrived to give away bitcoins to benefit people. Dubai is in race with the time as it is launching virtual tourism specific market place which will keep it ten years ahead of the major cities in the world. The initiative in association with blockchain is planning to add distribution channels for the hotels. This will ensure transparency to the guests regarding price and choice.